Fedor Emelianenko, widely considered to be MMA's greatest HW of all time, is finally back in the win column. After losing three straight fights, Fedor took on Jeff Monson this morning in Russia and he dominated for three rounds. Fedor threw a lot of leg kicks and some of them were absolutely brutal. Monson had to be carried into the dressing room area and could possibly have suffered a broken leg. Fedor was in fine form today and this is the best he's looked in quite awhile. The fight was a must win for him and he looked motivated and hungry while stalking Monson and dropping him repeatedly enroute to the unanimous decision victory. 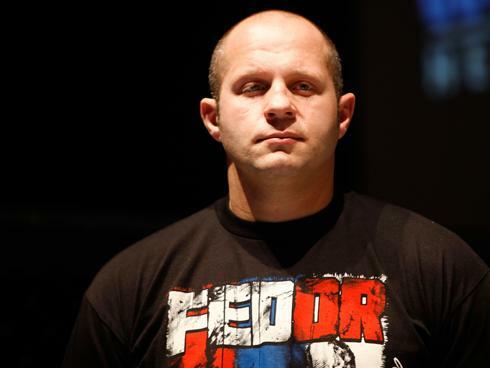 What's next for Fedor is up in the air right now, but he may be fighting again as soon as this New Year's Eve. Stay tuned for more info.